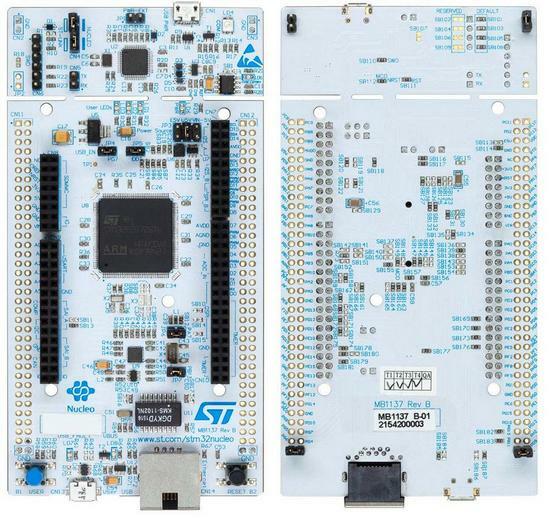 The STM32 Nucleo-144 board provides an affordable and flexible way for users to try out new concepts and build prototypes with the STM32 microcontroller, choosing from the various combinations of performance, power consumption and features. The ST Zio connector, which is an extension of Arduino Uno, provides access to more peripherals and ST morpho headers make it easy to expand the functionality of the Nucleo open development platform with a wide choice of specialized shields. The STM32 Nucleo-144 board does not require any separate probe, as it integrates the ST-LINK/V2-1 debugger/programmer and it comes with the STM32 comprehensive software HAL library, together with various packaged software examples, as well as a direct access to the ARM mbed online resources.